A meteor lit up the sky over parts of Nevada, Arizona, Utah, California, Texas and New Mexico early Thursday morning. 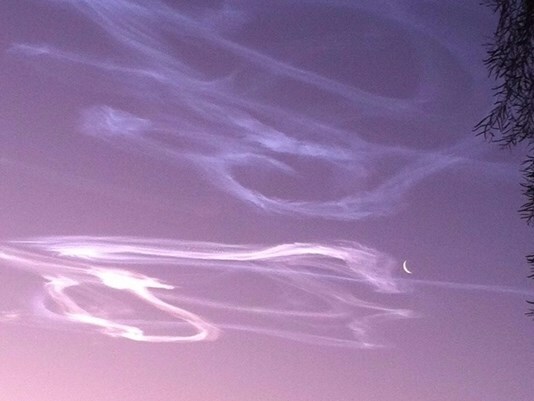 The fireball took place a few minutes before 4AM Mountain Time, according to reports, with most of the people who saw it being located in and around Phoenix, Arizona. In lesser degrees, the American Meteor Society says it also received reports from individuals in Nevada, California, Texas, Utah, and New Mexico. According to local news agency 3TV News, those who were up early enough this morning to witness the event heard a “loud roaring” sound as the fireball descended, and others say they heard a loud banging or booming sound. Though it hasn’t yet been confirmed, all signs point toward the fireball being a meteor. This is the second big fireball spotted in the U.S. in recent days. Late last month, a similarly large and bright fireball appeared in the northeastern US, being visible through much of New England and parts of Canada. As with this latest event, the flaming object is believed to have been a meteor.